Kluane National Park and Reserve are two units of Canada's national park system, located in the extreme southwestern corner of Yukon Territory. 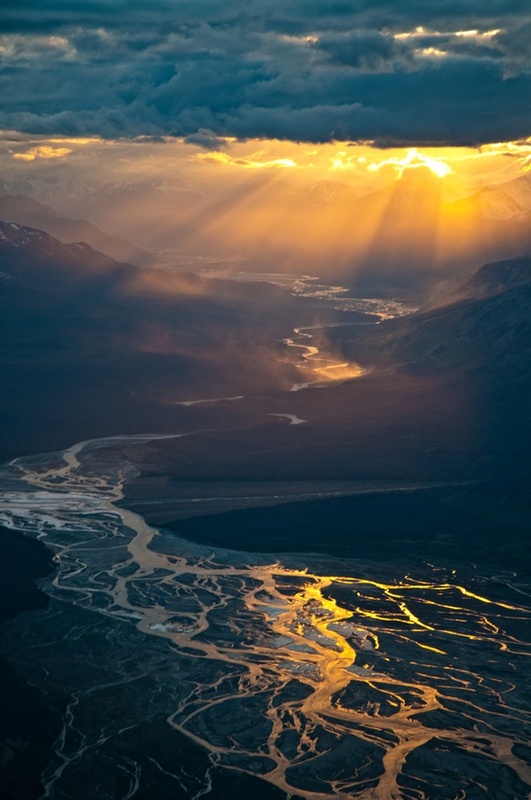 Kluane National Park Reserve was established in 1972, covering 22,016 square kilometres. A day-use area with boat launch, picnic facilities and campground is located at Kathleen Lake, and is operated from mid May to mid September. Hiking is a popular activity, on trails such as St. Elias Lake, Mush Lake Road, Shorty Creek, Cottonwood, Rock Glacier, King's Throne, Kokanee, Auriol, Dezadeash River Trail, Alsek Trail, Sheep Creek Trail, Bullion Plateau Trail, Slims West or Soldiers Summit. Rafting on the Alsek River (a Canadian Heritage river), mountain biking on old mining roads, horseback riding through the Alsek Pass, boating on Kathleen Lake and Mush Lake as well as fishing for lake trout, arctic grayling, rainbow trout, northern pike and sockeye salmon are also among activities available in the park. The park was the subject of a short film in 2011's National Parks Project, directed by Louise Archambault and scored by Graham Van Pelt, Ian D'Sa and Mishka Stein. The bi-national Kluane-Wrangell-St. Elias-Glacier Bay-Tatshenshini-Alsek park system comprising Kluane, Wrangell-St Elias, Glacier Bay and Tatshenshini-Alsek parks, was declared a UNESCO World Heritage Site in 1979 for the spectacular glacier and icefield landscapes as well as for the importance of grizzly bears, caribou and Dall sheep habitat. Kluane National Park lies within the traditional territories of the Champagne and Aishihik First Nations and Kluane First Nation who have a long history of living in this region. Through their respective Final Agreements with the Canadian Government, they have made into law their rights to harvest in this region.